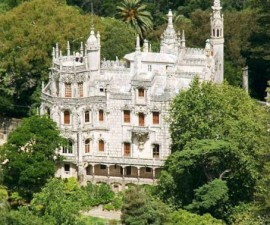 The Monserrate Palace, or Palacio de Monserrate as it is known in Portugal, is one of a number of historical architectural structures found in the Sintra area of west-central Portugal. 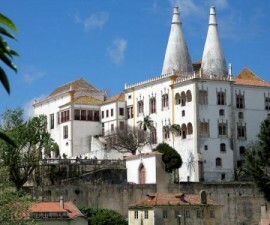 The Monserrate Palace is located some four kilometres outside Sintra old town and is well worth adding to the itinerary of any visitor to this beautiful and unique area. It was built in 1858 for Sir Francis Cook, a baronet of English extraction who was made Visconde de Monserrate by King Luis of Portugal. 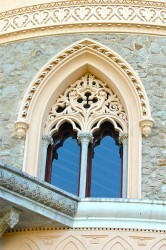 Given the English connection, it is perhaps no surprise that the architect, too, was English. This architect, James Knowles, in conjunction with his father, rose to the challenge of Sir Francis Cook’s commission and created a completely unique architectural piece for the region, embracing Moghul-inspired design details. 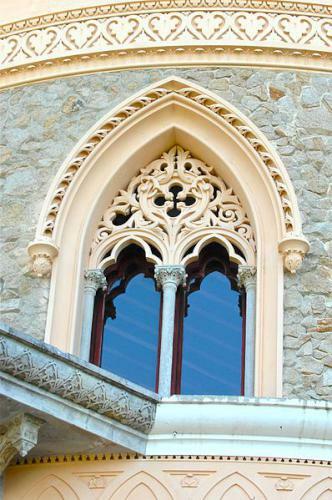 Whilst this style is unique in the area – and indeed in Portugal in general, its boldness and individuality fits perfectly with the eclectic combination of architectural styles found in the romantic and ethereal town of Sintra. The Palace sits on the site of an original eighteenth-century imitation medieval castle, in the heart of a former agricultural estate known as the Parque de Monserrate in the village of Sao Martinho. The Monserrate Palace is famous for having hosted major literary figures and other individuals of importance significance, including Lord Byron, who visited in 1809 and wrote about it in his poem “Childe Harold’s Pilgrimage”. It also made an appearance in the 1996 mini series “Gulliver’s Travels”. 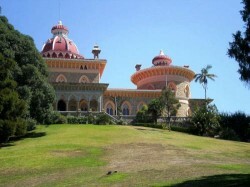 Like the Portuguese royal family who holidayed within the great palaces of Sintra, so the Cook family proceeded to holiday in the Palacio de Monserrate. 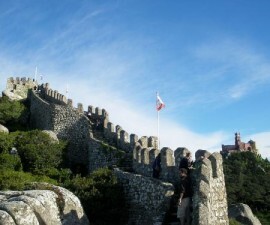 It is this legacy that has been left by the Portuguese royals and European aristocracy that has driven many generations of lay people to head for the sophistication of Sintra and Cascais every summer to experience not just the area’s unique beauty but also its unchallenged sophistication and glamour. 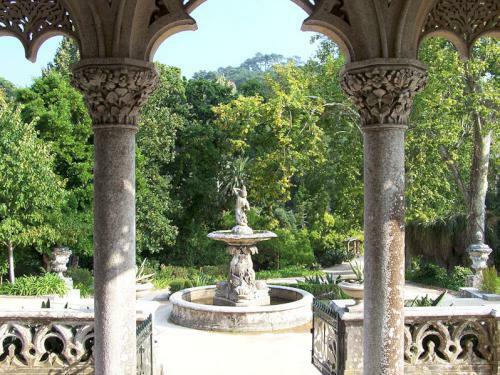 Whilst the palace itself holds its place high amongst the architectural treasures of Sintra, Portugal, it is perhaps its beautiful landscaped gardens for which it is most famous and best visited. 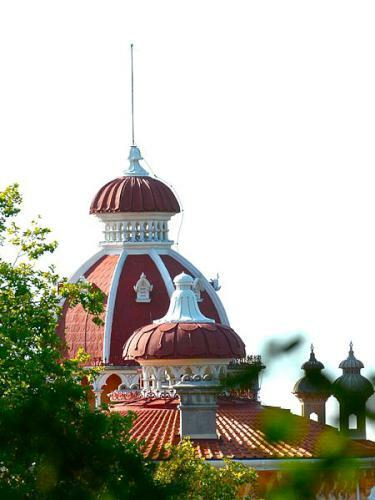 Monserrate Park is a masterpiece of landscaping and botanical engineering and is one of the most exquisite green areas that any visitor to Portugal can hope to enjoy. It was created by a talented group of individuals of English descent, including William Stockdale, famous for his landscape paintings, James Burt, a master gardener of great fame on UK shores, and William Nevill, a leading botanist of the time. The park is cleverly designed to embrace the unique microclimates that are found within the Sintra mountain region to create unmatched vistas and make a home for over 3,000 exotic species that thrive within the park’s many individual environments. Wind your way through narrow footpaths past lakes and waterfalls and distinctive architectural features that work together to create a sense of tranquillity, mysticism and great beauty.